We have served Prince George and surrounding Northern BC since 1990. We are proud to be the north's oldest locally owned toy and game store. Conveniently located in the Spruceland Shopping Centre on Central! 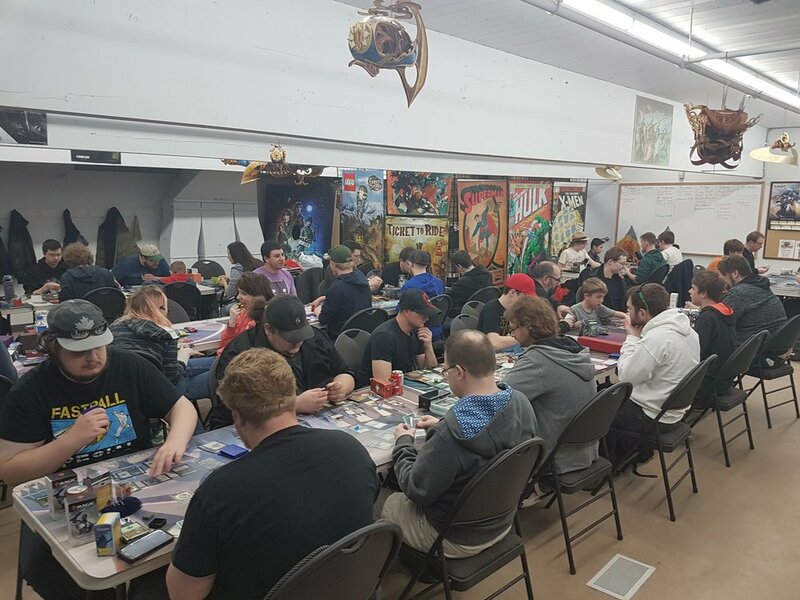 We host gaming events every week in store. Most of them are free to attend! We also have our upstairs gaming area open to the public any time we are open. Enjoy a game with friends any time! We carry the largest selection of board and card games in all of the north! We carry toys for all ages from infants to adults! Check us out if you are looking for plus toys, Lego, Playmobil, Melissa & Doug, or collectible actions figures. We have all kinds of collectibles and merchandise from your favourite movies, TV shows, and games. New comics and graphic novels bring exciting stories to life every week. We carry lots of books for every age level. From 18 pieces to 18,000 pieces, we have have puzzles for people of any skill level in a range of beautiful pictures and themes.